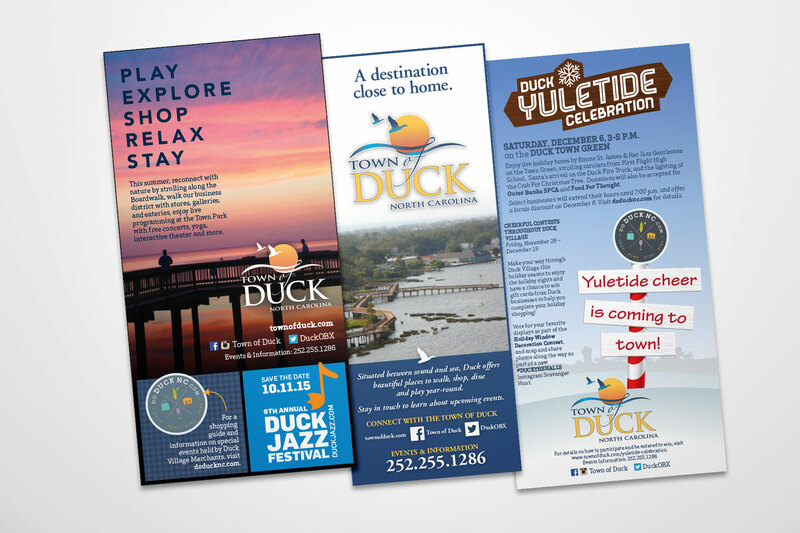 The Town of Duck, North Carolina, has relied on Access Design & Print to produce countless marketing and communication pieces for the public. We consistently offer quality signs and banners that are produced quickly and affordably. Our design work makes their marketing more engaging and relevant. Budgets and timelines are sometimes more crucial for a municipality than a commercial business, and we always make sure to deliver on both. Wayfinding and communication are key when your town is full of visitors year in and year out. 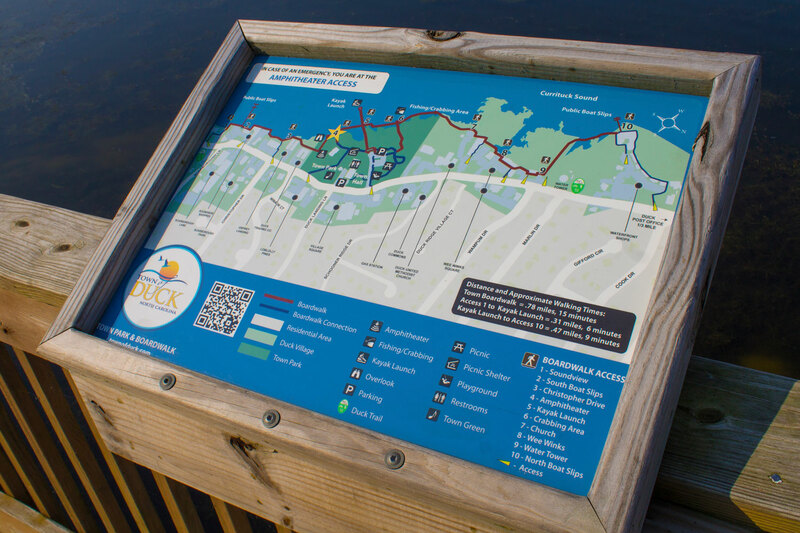 For the Town of Duck's new boardwalk, we designed and produced a series of durable signs and markers that are customizable according to their location. A consistent visual system ties the designs together and provides visitors with additional pertinent information. We have also designed numerous ad campaign pieces for the town's general marketing and other events. Creating integrated print and digital advertising is key for any business or municipality, and Access Design & Print delivers. 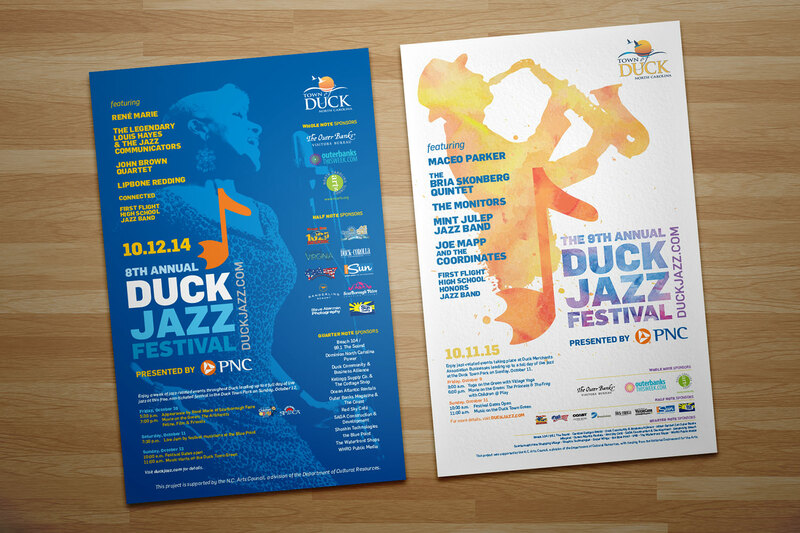 Creativity is at the essence of the Duck Jazz Festival, and Access Design & Print works to capture that spirit. We have created print and digital marketing pieces for the Festival since 2008. For the Town of Duck, that means having a reliable partner who knows their needs and responds with work that draws in visitors and locals alike. 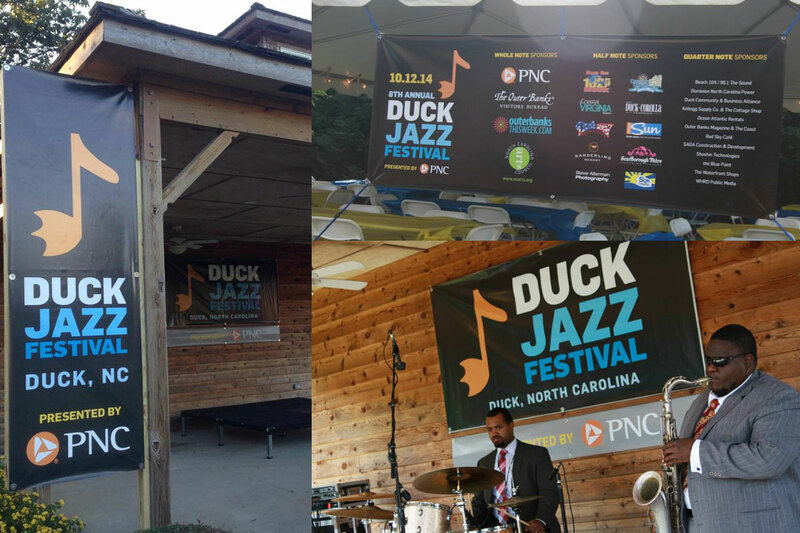 The Duck Jazz Festival is an event with a strong brand identity, and that brand is reinforced by a strong visual presence. We design and print banners for the Town of Duck that are eye-catching and consistent.